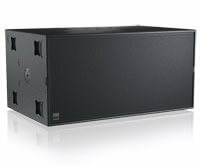 The absolutely exemplary radiation behaviour in both operating modes makes the K&F SPECTRA 212 ideal as a tool for demanding sound reinforcement tasks, especially in acoustically difficult environments. The three-way system features two 12” woofers in a bass-reflex cabinet, six 5” mid-range speakers in a closed cabinet, and four 1” compression drivers on a K&F Waveformer. 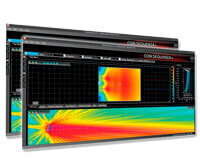 The result of this assembly is an extremely distortion-free reproduction in the entire frequency spectrum. 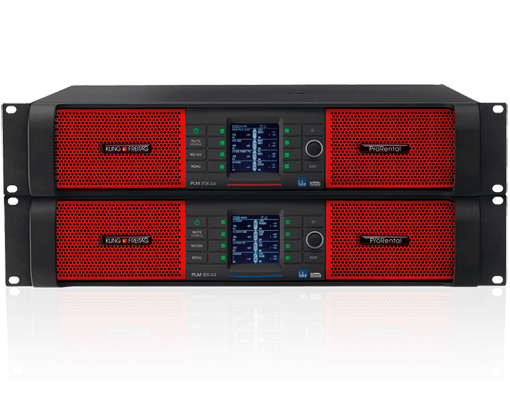 The K&F SPECTRA 212 is powered by the proven K&F SystemAmp power amplifiers. 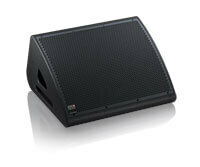 They equalise the box with two amp channels, which ensures the best possible performance and reliability. 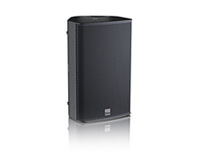 The design of the K&F SPECTRA 212 provides a sonically impressive experience. All details of the source material are transmitted to the audience transparently and in detail. 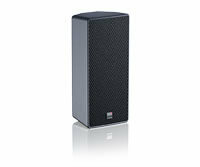 The large dynamic range and very high achievable levels allow for versatile applications. 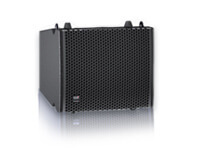 From small club gigs to large sound systems – the system’s sound remains absolutely neutral in every situation. With its compact dimensions and low weight of 48 kg, the K&F SPECTRA 212 can easily be put into operation by two people. 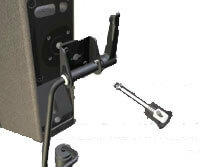 The size and weight of a box correspond to about half of classic horn systems, while the acoustic output is the same. 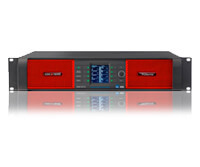 The required truck load volume is thus reduced by almost 50 % with the K&F SPECTRA 212. In point-source mode, a K&F SPECTRA 212 emits 60° horizontally and +5/-25° vertically. This makes it possible to use a K&F SPECTRA 212 as a single high performance top. The asymmetrical vertical radiation facilitates alignment with the audience and reduces unwanted ceiling reflections. In line-source mode, a K&F SPECTRA 212 emits 30° horizontally and 60° vertically. 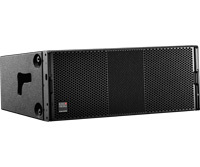 With the housing angles and the integrated and unobtrusive connection mechanism, arrays of up to six K&F SPECTRA 212 units can be horizontally clustered and flown. 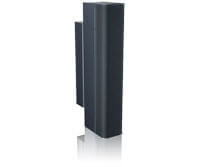 The system adapts to the requirements, depending on the desired coverage and maximum sound pressure. 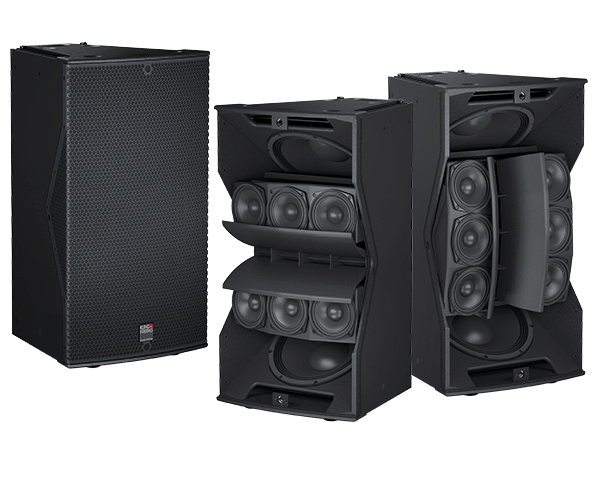 The flexibility and high dynamics achieved in this form for the first time make the K&F SPECTRA 212 a modern, extremely powerful and precise sound system in the premium segment. Frame-reinforced 15 mm multiplex enclosure with 30° angle for ideal cluster setups with highly resistant polyurea synthetic coating in black, convertible between line source and point source through rotation of integrated VariQ-unit, integrated flying track system, ergonomic handles on top and bottom for horizontal and vertical transport, sunk-in connector panel, 4 non-abrasive plastic sliding feet on bottom, ball-proof steel grille with black acoustic foam behind the grille.